Alaska was and always will be the last frontier. Even in 2016, the state has more untouched nature than you could explore in a lifetime. That, along with the fact that the state has more miles of coastline than the rest of the continental United States combined, makes Alaska the perfect boating location. The large size of Alaska ensures that it has something to please everyone. More adventurous boaters will find their dream adventure in the Kenai Peninsula, where nature runs wild and you're wild life runs rampant. Salmon swim up river to spawn in early June, making this the prime season to go bear spotting from the comfort and safety of your boat. The Inside Passage is another famous boating destination. 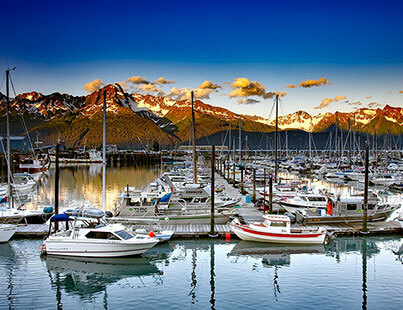 Located in Southeast Alaska, it's feasible to cruise up to it from Washington state. The inside passage is a mountainous region with inlets cut through it by massive glacier millenia ago. Now it provides beautiful views of glaciers densely populated with wildlife. 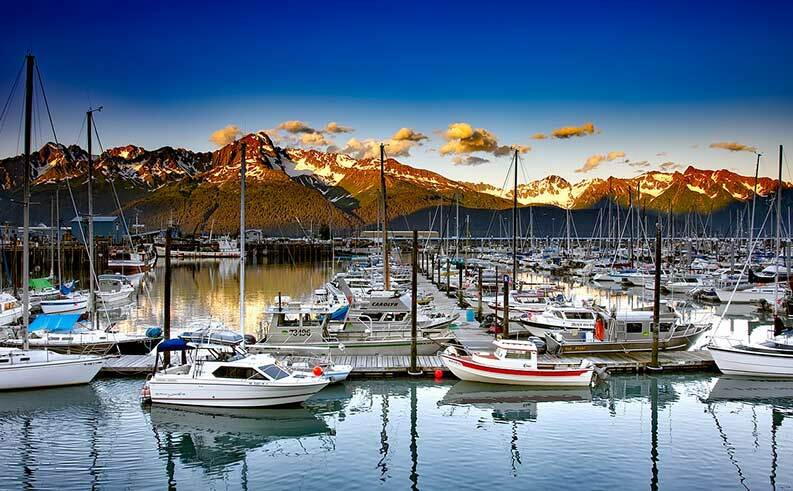 Novice boaters will find the large port city of Anchorage features all the comfortable amenities of a modern city, while still being less than an hour from beautiful waters with an amazing landscape. Even in Anchorage, wildlife sightings are guaranteed. Moose are so common in the city that locals don't even stop to watch them. Many people think that Alaska is a block of frozen ice all year around. Actually, the summer temperatures in Anchorage average at about 80 degrees in the day and 55 degrees at night. Many residents agree that the best month to go to Alaska is in June, being the driest Summer month. Due to how far north Alaska is, daylight lasts well into the evening hours. Through most of Alaska, the sun literally never goes down on June 21st--the longest day of the year. However, both Spring and Fall have their own advantage. The longer night hours offer better chances of seeing the red and green Northern Lights. However, these are more rainy months that may lead to rougher seas. Winter provides rough seas and cold conditions, only advisable for veteran boaters. Even in the Summer, prepare to dress in layers. Ocean breezes can be chilly at the least and downright cold at the most. You're guaranteed to see wildlife in Alaska, ranging from puffins and moose to whales and bears. Be sure to travel in groups, keep your distance, and check with local authorities on safety tips for the area. Alaska is a state of unmatched beauty and excitement. From its miles of coastlines to its rugged inner terrain, a trip to this state will be the ultimate adventure.